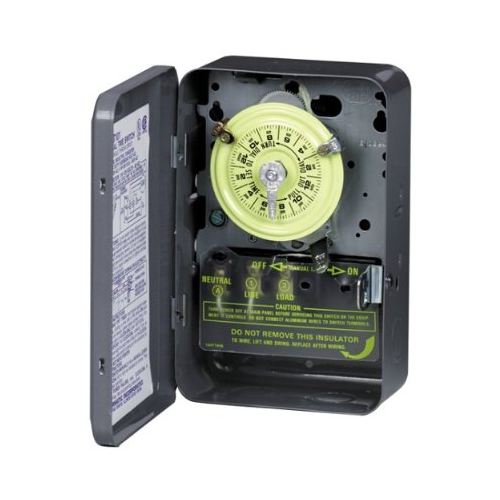 This time is for industrial, commercial or residential applications and supports up to 12 on/off times per 24 hour period with a minimum of 1 hour per cycle. The timer package includes 1 on and 1 off tripper. For additional trippers, use part# 156T1978A for each additional on/off tripper set. 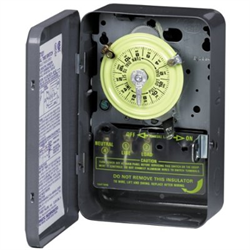 This timer is rated up to 125V 40A 2HP SPST.